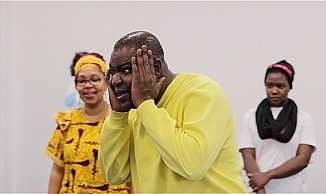 Fun and creative means to enhance the practical English skills of mostly refugees and new migrants, funded by People’s Postcode Trust, a grant-giving charity funded entirely by players of People’s Postcode Lottery. 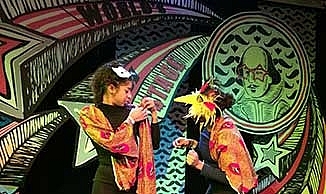 IROKO’s ‘Shakespeare’s Ájè, The Witches’ was part of the 400 years anniversary celebration of the death of William Shakespeare at the Barbican Centre’s ‘Shakespeare Weekender: Play On’. 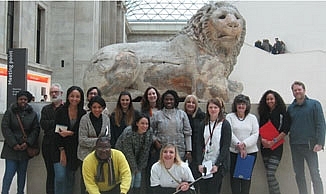 A research project investigating African deities, folktales, objects and artefacts and their parallels in other cultures. 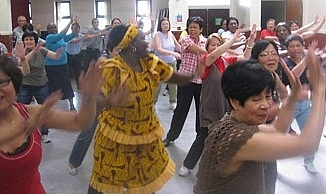 For a limited time you can get a discount on a 2 hour IROKO Robics session. 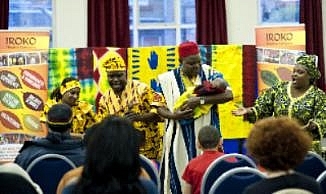 Our storytelling CPD explores African performance techniques. 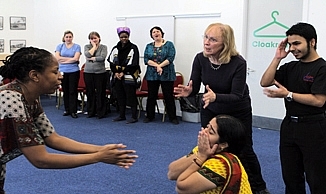 Suitable for teachers, nursery nurses, actors or anyone interested in oral storytelling. IROKO like to bring African culture to you as a way of creating understanding and appreciation of African arts, culture and heritage. 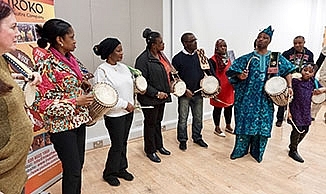 We use group-music making, gentle movements, songs and chant as a fun and exciting alternative to enhance the health and wellbeing of people of all backgrounds and abilities, particularly older people. IROKO is seeking to engage the services of Volunteer Researchers for the project. 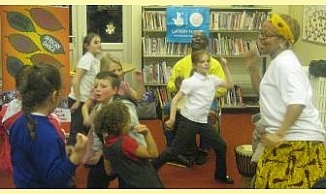 IROKO Theatre Company use the arts and in particular but not exclusively African arts to advance the education, health and wellbeing of people from all backgrounds and nationalities (including the disadvantaged), so that they can achieve their full potential, play an active role in their community and have an improved quality of life. To achieve this, we provide resources and hold training, exhibitions, workshops and performances in African theatre, arts & crafts. The roots of the Iroko tree go deep into the soil of Africa. The tree stands tall and strong against the African sky. Our sculpture, our architecture, our masks and our drums come from this tree and are permeated by its spirit. 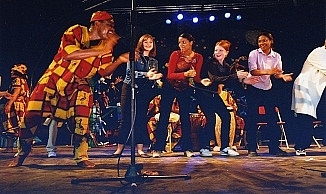 Through the Iroko tree, our culture is rooted in the soil of our land and from these roots it derives its strength. IROKO Theatre Company was formed primarily to nurture and uphold this culture.